BER reviews OFX - their exchange rates, service and ease of use and user reviews. Rapid funds transfer through OFX as it has a large network of banking partners. OFX exchange rates are highly competitive for global money transfers – either the best or very close to the best exchange rates prevailing in the market. Their transactions are transparent, unlike other brokers. Also, as the rates are displayed on the site, customers can see what rates they can expect. Founded in Sydney in 1998, OFX has since grown to become one of the world’s leading international specialists in foreign exchange transactions and payments. OFX exchange rates are very good, they provide a comprehensive online FX solutions and have great customer support. As a Foreign Exchange service provider, OFX specialises in international payments. It has a strong presence in Australia, United Kingdom, Canada, United States and various countries in Europe and the Asia Pacific. OFX employs over 350 people at various levels across its offices in Sydney, London, Toronto, San Francisco, Hong Kong, Singapore and Auckland. It means a dealer is always available over the phone (24/7) to help the clients. BestExchangeRates customers get OFX margins for major currency pairs of just 0.4% compared to 4% or 5% with your bank. An additional bonus is that you will also not pay any fixed fees. If you opt for Spot Rates, you can lock an exchange rate with OFX so that it remains unchanged even before OFX receive your deposit, regardless of the exchange rate changes. OFX will call you to verify your identity and to finish setting up your online account. Once the account is set up you can monitor the rates in real-time. When you wish to do a transaction, all you have to do is log in to the OFX exchange rates website and enter the details (Currency, Amount & Beneficiary Account). Then you can easily transfer the amount from your account to the OFX bank account. Once the money is transferred to the OFX account, OFX will then send the money to the beneficiary account at much better rates than those offered by your own bank. OFX will notify you when the funds are credited to the beneficiary account. OFX does not send or accept payments in cash. If you use cash for a transaction OFX will hold on to the cash. The funds would be returned only after a lengthy process, including a formal identification. Furthermore, OFX does not accept cheques for any currency under any circumstances. OFX has recently focussed on supporting online retailers in the e-commerce sector. With the OFX Online Sellers solution, you get access to local currency accounts across currencies such as USD, GBP, HKD, EUR, CAD or AUD for your marketplace or payment gateway to pay into. It allows you to bring funds home or pay the suppliers at the best possible rates. OFX charges a one time standard fee of $15 for transfers under $10,000 (note this is waived for life for customers who register via BestExchangeRates.com). For amounts over $10,000 there is always no fee. Sometimes, third-party banks deduct a fee from the transfer amount before crediting the payment to the beneficiary. This fee is solely at the discretion of the third party bank, it may vary from bank to bank and OFX receives no share of the same. In general, the time it takes for OFX to receive funds from you is between 1 to 2 days for most currencies. Likewise, most funds will reach your recipient’s account in a day or two (maximum). Fund transfers in certain currencies like THB can take up to four days to be credited to the beneficiary. OFX is a unique online currency payment vendor as it provides Online Spot Deals (for selected customers). This feature allows you to lock in the currency rate at the time you entered the deal and not at the time your money is credited to the OFX bank account. This is a very useful feature in a fast moving market when you want to lock in a good rate. Customers registering through BER will have all their fees waived. Fintech hotshot Revolut has written to millions of its customers to warn that new verification documents will be needed in the event of a no-deal Brexit; it has also called on the UK government to get serious about post-Brexit tech visas. 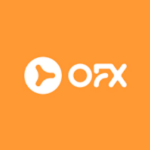 Hi am looking to set up a drop-shipping business, do you recommend OFX for handling the currency exchange? Consistently great rates and service. Make sure you write “Referred by BER” when you register to get the $0 fee transfers. No Taxes on Bank Transfers Online Between Countries!! Platform Regulated by Canadian Authorities!!! It’s the PayPal of Australia, only Cheaper!!! Needed to transfer a large amount from Australia to the UK to buy a property. Bank rates just weren’t competitive. A friend suggested OzForex and I am happy with how it worked out. I got a rate that was much, much better than the bank. OzForex were very helpful and responsive to my questions. The transaction was completed quickly and efficiently, with excellent communication along the way. Great rates, great service and easy transactions.What more could you want? Will definitely use again. Definitely positive feedback. It is a pleasure to deal with such a friendly and professional company. Setting up the account was very simple. The customer service has been amazing and done a wonderful job. The money did get through on time and without problems. Just did my first test transfer: very easy process and great comparison rates. Took 2 & a half days from pushing the button to money in an Italian account. Will be using OFX again and have already recommended it to a friend who is about to do business in europe. Thanks for a great rate and easy transaction! I worked for a few years in London and was sending home pounds to Australia on a regular basis, (at around 2.4 to the AUD…those were the days!). Initially I was lazy and was just using the international remittance facility of my UK bank until I discovered OZForex, my bank was charging around 3% margin and OZforex only around 1%. So OZForex saved me thousands of dollars over the years. Thank you very much! Just completed my sixth currencey purchase with Ozforex, and I am blown away each time by the deals I receive and the ease of the transaction. I can’t get enough of you guys. Just posted a review on Product Review – you guys rock! Still a little apprehensive about using a third party to take care of my regular overseas transfers, need some more reassurance firstly, before I would use them…what if they go bell up, just as you send them your money…???? Hi Gerry, OzForex is a strategic investment of Macquarie Bank and since its launch in 1998, the Group has grown to be one of the world’s largest foreign exchange companies. The OzForex Group completes over 300,000 funds transfers per year on behalf of 100,000 dealing customers, and has an annual turnover of US$7 billion. OzForex holds client funds in accounts with highly rated financial institutions. In addition, OzForex operates an extremely low risk business model whereby OzForex never pays out client funds prior to receipt of the currency the client has sold to them. This ensures OzForex has zero default risk from client dealings. Worked out great. Ran smoothly, no problems. I will start by saying that I am glad I decided to use ClearFx (edit: now OFX) rather than make a transfer through my bank. The exchange rate was much higher and we avoided all of the fees associated with international transfers. I must admit I was very hesitant at first. There aren’t very many reviews about the clear fx online, so I was a little scared that I was going to send my money away and never see it again. Fortunately it did turn up in my bank account! We spoke to people on the phone numerous times and every person we did speak with was polite and helpful. It took a bit of time to get the identification requirements in order (you have to send certified copies of identification and proof of your bank account via cheque or other means). Once everything was in order it went smoothly from there. They even accomodated our request to change the amount we wanted to send. Overall, good company, good prices, will use again.